Connecting with people to make a bigger impact. Our events are vital to our fundraising, adoption and outreach efforts. Regardless of your area of interest, we would love your help at our upcoming events. 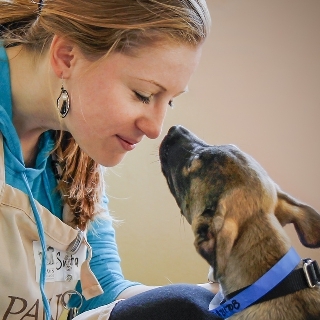 PAWS Chicago holds many fundraising events throughout the year where volunteers are needed. These special events are vital to our lifesaving efforts because we do not receive government funding. In addition to raising funds, these events help spread the word about the No Kill movement and help find more loving homes for our animals. Additional roles may be available, depending on the event. Location and hours vary. Most special events are held on weekday evenings. If handling animals, Dog Town Level 1 Training or Kitty City Level 1 Training is required. 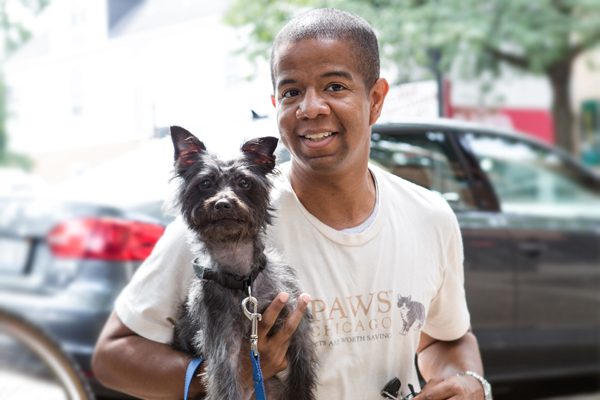 PAWS Chicago holds many offsite adoption events throughout the year. These events help showcase the wonderful pets in need of homes, spread the word about PAWS Chicago and the No Kill movement and help unite our pets with loving homes. Location and hours vary. Most adoption events are held on weekends. Our Community Outreach events introduce us to hundreds of people in one day and require lots of help. These large events take place a couple times a year, and we need a lot of volunteer support. This one-day commitment opportunity is fast-paced, fun and uplifting.